Analysis Desk is a service that offers to you the possibility of measuring the response of your liquid samples to a magnetic heating experiment in a practical and reliable manner. Use all the power of our equipment and the expertise of our staff, immediately for an inexpensive price. 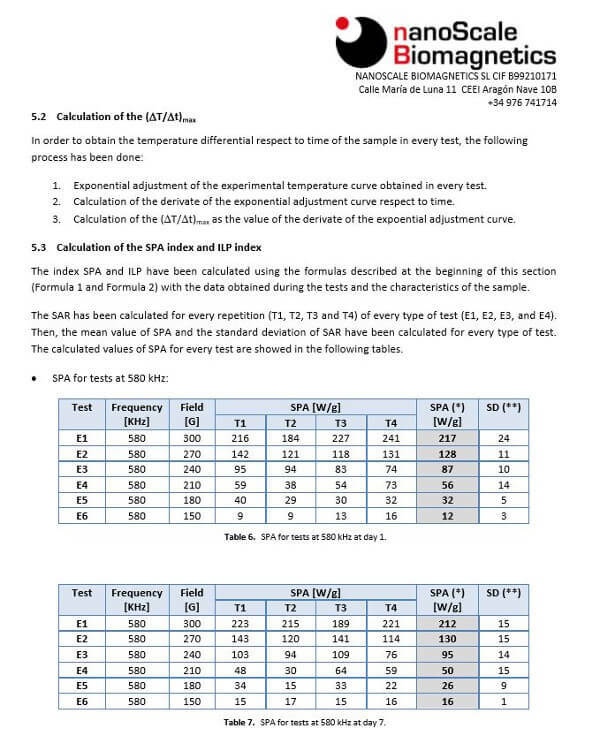 We will deliver to you an exhaustive report featuring heating curves, calculations of SAR/SPA, ILP, measuring procedures, measure errors and everything you need for a validated and ready to publish results. 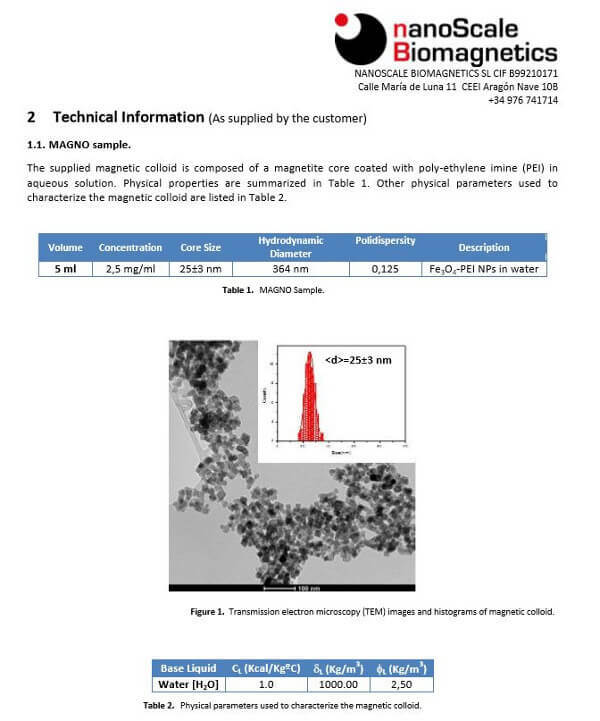 Check out a sample of the technical report measuring our own magnetic colloid Magno and contact us to request your Analysis Desk.